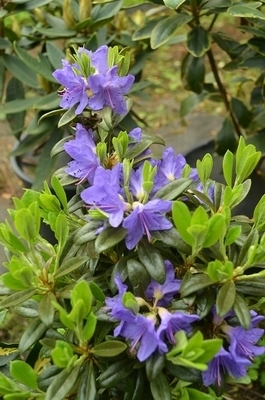 Comments: violet buds open to flowers with the same vivid color on the outside and a lighter shade of violet on the inside. Glossy, green foliage in summer and bronze in winter. Nice compact dwarf.